Home / Coffee Supplies / 16 Oz. White Hot paper Coffee Cups With Lids And Sleeves -Decony coffe set- 50 sets. 16 Oz. White Hot paper Coffee Cup With Lid And Sleeve-Decony coffe set- 50 sets. 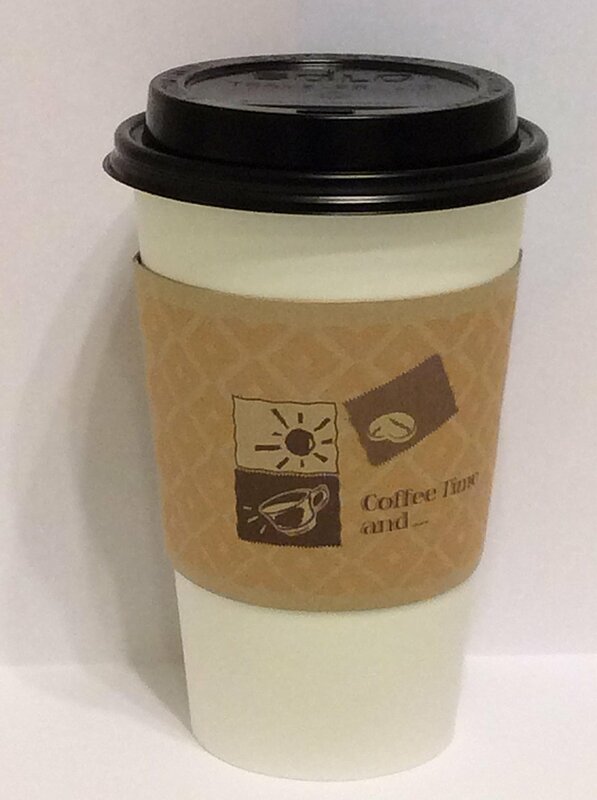 set of 50 white paper hot cups, 50 travel lids, and 50 sleeves for heat prevention this set is perfect for home , coffee shop , conference center, office, convenience store, or hotel, breakfast bar. 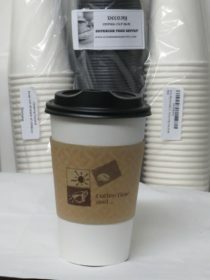 It’s economical, versatile, and ideal for serving guests favorite coffee, tea, hot cocoa, latte, and cider. 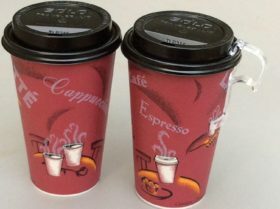 set of 50 white paper hot cups, 50 travel lids, and 50 sleeves for heat prevention this set is perfect for home , coffee shop , conference center, office, convenience store, or hotel, breakfast bar. It’s economical, versatile, and ideal for serving guests their favorite coffee, tea, hot cocoa, latte, and cider. You're viewing: 16 Oz. White Hot paper Coffee Cups With Lids And Sleeves -Decony coffe set- 50 sets.